What are HR Lounge Meetups? The Human Resources Lounge Meetups are events for HR and recruiting professionals. It is a chance to network and also learn about the latest topics in the industry. 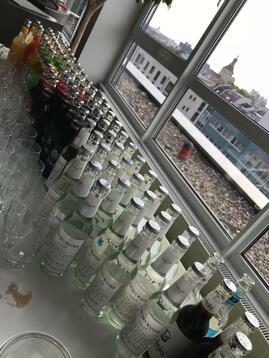 The event in Cologne was focused on employer branding and discussing how this looks in a digital world. The event began with some networking and the chance to get to know other HR professionals from the Cologne area. This was followed by two presentations on job applications of the future and on the role of chat bots in recruiting. 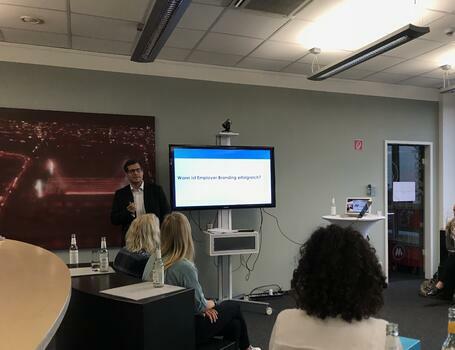 After a short break, Steffen Braun, one of the two managing directors from Talention, presented on the topic "5 Tips for Successful Employer Branding." With expert knowledge from analyzing and consulting many companies on their employer branding strategies, Steffen shared his best practice examples. He covered points such as the importance of analyzing and improving your job advertisements, promoting your EVP on your career site, and the value of a talent pool. 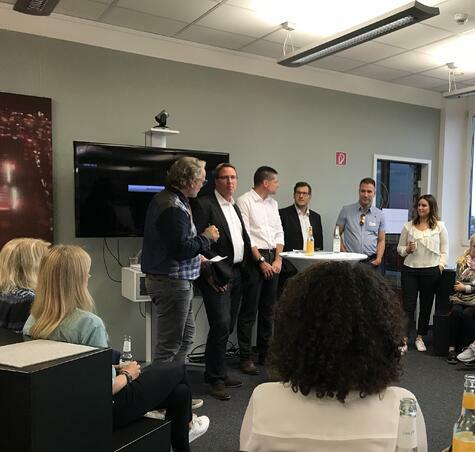 After his presentation, Steffen participated in a podium discussion on employer branding with the other presenters and two other HR expert guests. The podium discussion covered a range of topics from analytics and talent pools to chat bots and sourcing via WhatsApp. All of the experts brought a unique perspective to the discussion and left the attendees with valuable insights. Talention looks forward to participating in future events like the HR Meetup Lounge. We hope to see you at the next one! And if you are looking for more information on employer branding, be sure to check out our ultimate guide on this topic.